Just listen to SoundCloud. That's it. 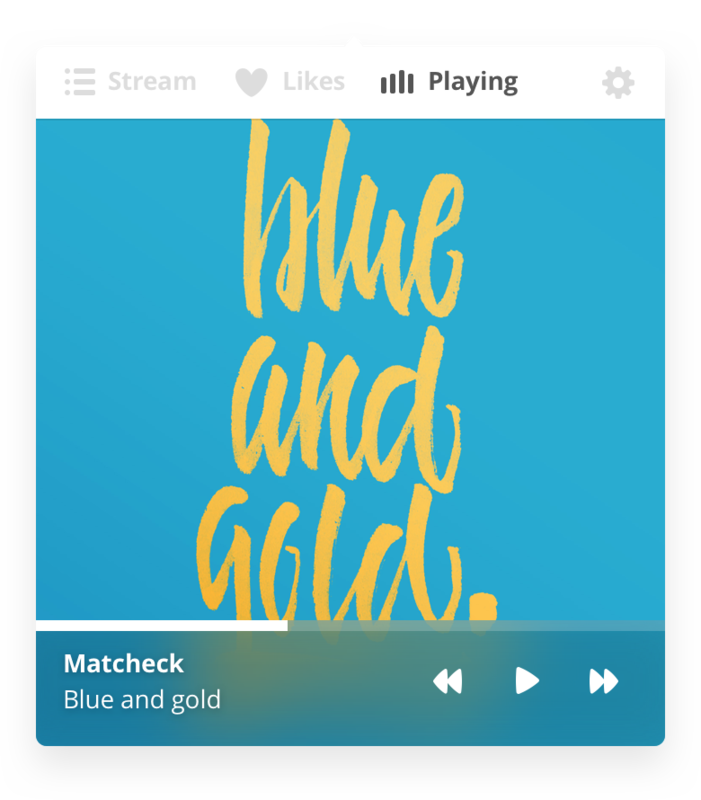 Soundbar is a lightweight SoundCloud player for Mac. It lets you listen to music on SoundCloud while getting out of your way. It conveniently lives in the menu bar. Use shortcuts to skip a song or to save it for later. Fully customizable. Always know what Soundbar is playing at all times. No need to open Soundbar. It’s especially handy when you use custom keyboard shortcuts. Made with love and tears by Pavel Macek and Don Goodman Wilson. Soundbar is using SoundCloud API to play music. Please send any feedback at support@getsoundbar.com.